Jason and Brendan Butler, the new Dublin-based screenwriters who won last year's Oscar Moore Screenwriting Prize, have secured a director and a production company for their script Ton Of Money. Irish production outfit Octagon Films has optioned the project, a comedy about a group of criminals who come across £1m in small change. Robert Quinn, director of new Irish movie Dead Bodies, has filled the directing chair. 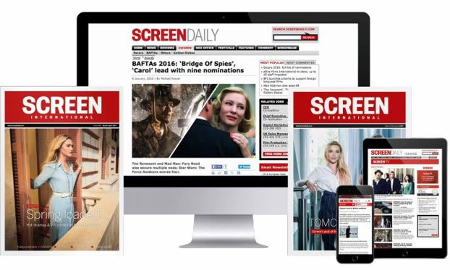 Since winning the Oscar Moore prize, which is administered by Screen International, the two Dublin-based screenwriters have also secured Marc Helwig of London Management as their agent. "We had people calling up and saying 'we want to buy it immediately', so it was a case of getting through all of that," said Jason Butler. At a reading run by development training body Script Factory last week, the brothers aired their second draft with talent such as comedian Sean Hughes taking on roles. "Working with the actors and getting feedback was great," said Jason Butler. The brothers have several other scripts in the works, including a project called Chinaman Chance, about a group of gambling addicts who place the world's most outrageous bet as a form of therapy.